4-Up Safe-T Roaster | BUDK.com - Knives & Swords At The Lowest Prices! It’s time to throw away those wooden sticks! 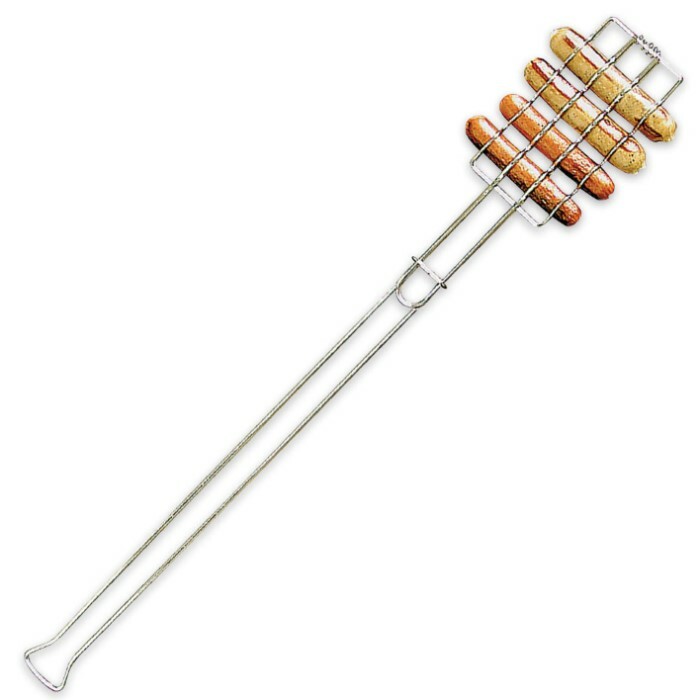 Cook four hot dogs without poking a hole in the meat with the 4-Up Safe-T Roaster. Simply place them inside the chrome-plated steel cooking cavity, close, lock and grill. 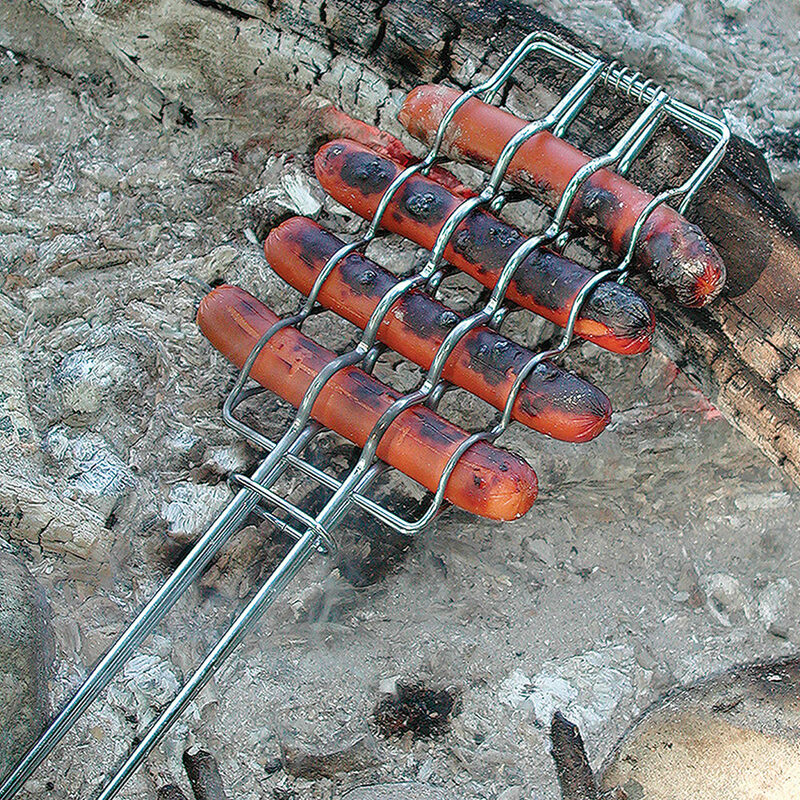 The roaster is designed for open fire or barbeque use and keeps your natural casing meats juicy. Make the most of sitting around the campfire with this unique chrome-plated steel roasting tool and roast weenies without fear of dropping them in the fire. It’s 29" in overall length.